Experiencing Walt Disney World while working - I've always only vacationed in Orlando, never actually had to work during my time there. The conference is Thursday through Saturday with registration taking place on Wednesday evening. I'll only be in Orlando Wednesday through Saturday and my first priority is work, which doesn't leave much time for play but with the discounted, partial day conference tickets that Walt Disney World offers for large events like this, it makes evenings in the park a real plan! I'll be using the "after 5PM" ticket to head to Epcot on Friday night for the International Food and Wine Festival - a must do on any fall Disney visit! All-Star Movies Resort - I'll be back on Disney property for this trip. For those of you that regularly follow me, you know that we go back and forth between stays on and off property. I was trying to stick to a pretty tight budget for this trip, so this value resort made the most sense. At an average of only $133 per night, it was much cheaper than many other options in the Orlando area that were off property and who can forget the complimentary Magical Express airport transfer which was another cost saver for me! In sticking with my goal to never stay at the same resort twice, All-Star Movies is another new resort for me and the first time I've stayed at a value since 2003. I'm excited to check it out! Mickey's Not-So-Scary Halloween Party - The last time we visited Walt Disney World around Halloween we opted not to spend the money on these tickets as the cost for a family of four is high and our two young goblins would not have turned into pumpkins very early in the evening. This time though, I'm ready to party! I can't wait to check out this event that I've read and heard so much about over the years! My conference events end at 4:00 that day so my plan is to head right to Magic Kingdom and take advantage of the early entry that comes with you MNSSHP ticket to squeeze in a few more magical hours of fun. Toy Story Land - Toy Story Land opened this summer to huge crowds and rave reviews. This will be my first trip back to the House of Mouse since opening this new land within Disney's Hollywood Studios and I'm pumped to ride Slinky Dog Dash and Alien Swirling Saucers. I'm sure I'll have to grab a bite at Woody's Lunchbox and who knows, maybe my new ears this trip will have a bit of Toy Story magic to them?!? This will be my first stop when I arrive on Wednesday and I'm sure my social media accounts will be blowing up with pictures and excitement that day! New Restaurants - Currently I have dining reservations at three new restaurants around Walt Disney World during my stay. Breakfast will be at the resort each morning and lunch at the conference, but I will be trying out some new dinner locales to broaden my taste buds! So far I have reservations at Ale and Compass, The Jungle Navigation Co. Ltd. Skipper Canteen, and The Edison, but those might shift just a bit depending on other availability that opens up. So that's it! I'm counting down the days as I tweak dining reservations, secure FastPasses and wait for my MagicBands to arrive in the mail. I've also been busy reading up on the absolutely amazing conference sessions that I'm lucky enough to attend while there at AMLE. I can't wait to share everything with you along the way. 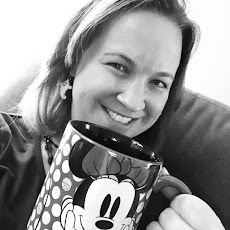 If you're not already following me on social media, be sure to join the fun @dsnyrunrgrl on Twitter and Instagram and you can find me on Facebook at www.facebook.com/runonpixiedust. See ya real soon!